Turkey remembered singer-songwriter Cem Karaca on Friday, 15 years after the passing of the Turkish rock icon. Born to an Armenian-Azerbaijani family on April 5, 1945, Karaca is considered one of the most prominent musicians of Anatolian rock, along with Barış Manco, Erkin Koray, and Fikret Kızılok. Karaca started his music education at the age of 6, under the guidance of his mother. He first performed in a cover band called the Dynamites, followed by an Elvis Presley tribute group called the Jaguars. His father at first wanted him to be a diplomat or a doctor but later urged him to sing the "music of the region," meaning Anatolia and Turkey. Shortly after getting married to Semra Özgür, Karaca joined the army, where he became familiar with Turkish folk songs. "I used to see it as old and primitive, but [later] I realized that the style of music revives and expresses my feelings," Karaca told an interview. After finishing his military service, the future legend started to make music with Western instruments and joined Apaşlar, a band founded by Mehmet Soyarslan. He also covered the works of Mahsuni Şerif, a Turkish folk singer and bard. In 1967, Karaca and Apaşlar entered the Golden Microphone music competition with their cover version of the song "Emrah." The group later went to Germany and recorded songs with the Freddy Klein orchestra. Recordings from that period include one of their best-known songs "Resimdeki Gözyaşları," released in 1968. Two years later, Karaca and bassist Serhan Karabay left Apaşlar to form a new group, Kardaşlar. They were recording songs in Germany in March 1971 when the military forced the Turkish government to resign, one of several coups during his lifetime. In 1972, he returned to Turkey and joined the music group Moğollar and recorded his masterpiece, "Namus Belası." After clashes with the band's co-leader Cahit Berkay, Karaca formed a separate band, Dervişan. Karaca and Dervişan recorded the songs "Tamirci Çırağı," "Kavga" and "Yoksulluk Kader Olamaz." Karaca also supported the Palestine resistance with a stand at the international fair in the Aegean city of İzmir. Karaca covered the songs "Mutlaka Yavrum" and "Adilos Bebe" to raise awareness on the Palestinian issue. The singer went to Germany again in 1979, when Turkey's political unrest reached a peak. He faced legal pressure over his records and statements and in April 1980 was unable even to attend his father's funeral. A few months later, on Sept. 12, 1980, military forces under Gen. Kenan Evren overthrew the government and took power. Karaca was ordered to return home to face charges of treason. He refused and on Jan. 6, 1983, his citizenship was revoked. While in Germany, Karaca voiced his longing for home in an interview, saying, "There's no cure for homesickness." Finally, he was given amnesty by then-Prime Minister Turgut Özal and returned home in 1987. Accused by some of "selling out," he argued that his allegiance to the country was greater than his dedication to any political party. During this period, he produced solo records like 1989's "Merhaba Gençler" ve "Her Zaman Genç Kalanlar" and "Yarım Porsiyon Aydınlık." Karaca also worked with musicians Berkay and Uğur Dikmen, producing such standouts as "Islak Islak," "Rap diye rap rap," "Kerkük Zindanı," and "Bindik Bir Alamete." 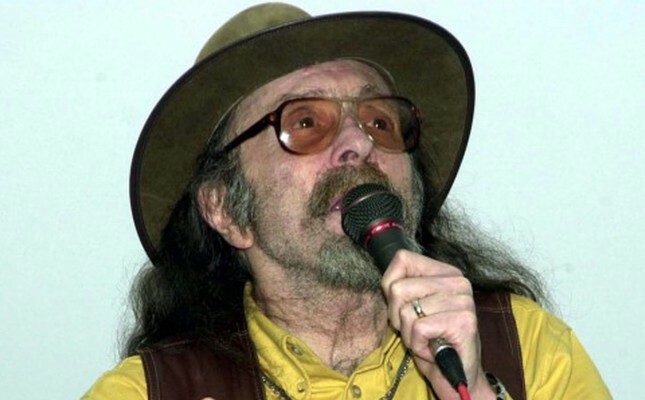 He gave his last concert in Ankara on Jan. 17, 2004, and died just a few weeks later, on Feb. 8, aged 58. Stressing his identity as Turkish and Muslim, Karacaahmet Cemetery in Istanbul was the site of the funeral of Cem Karaca, the self-described "Bard of Anatolian rock."